With regards to fusion, as a rule of thumb it takes about a generation (~25 years) for new power technologies to provide 1% of output. As another way of looking at it, 25 years after a new power source is initially deployed 99% of power is still provided by old technologies. So if current R&D programs give us a fusion physics breakthrough next year (2010), we can expect about 50 years of not-very-effective experimental reactors followed by a 25 year program of infrastructure development, and circa 2085-2090 about 1% of global output will come from fusion. Assuming fusion power is worth the effort. Fission occurs spontaneously on Earth, and all we had to do was put it in a cage. Fusion occurs spontaneously in the hearts of stars at pressures and temperatures that would reduce the Earth to bare plasma. We may discover that fusion power just isn't worth the cost. One thing that gets left out of a lot of discussions about tech development is the toy stage. Before a new technology becomes a truly useful tool, it almost always is used as a toy for the rich and powerful. Complex mechanical devices, batteries and simple electrical circuits, and radioactivity were all used for parlour tricks before someone said "Hey, I bet I could build a mechanical calculator/send a signal to another building/blow up Japanese cities with that." We're past the parlour tricks stage with biotechnology (Show breeding), are just there with fusion (Pyroelectric fusion is pretty cool, and national fusion megaprojects are currently just richard-measuring contests between great powers), and are nowhere near that stage with gravity. This stage usually lasts about 100 to 200 years, so I'm inclined to believe the ITER scientist who said that at our current rate we're about a century away from developing fusion. And sometimes people get a little ahead of their times. Eilmer of Malmesbury broke both his legs in Europe's first recorded human flight, in the 11th Century. One thing that might lead to cheaper launch technologies could be a sustained rise in the price of fossil fuels. If demand for satellite communications and imaging remains strong but cost of fuel goes up, that's a strong incentive to develop lighter and cheaper rockets or even non-rocket launch technologies. That fictional setting I keep talking about was all about the growth and expansion of fusion technologies. Yes, we could stick with fission, but fission power is really just steam power where you replace coal with a radioactive heat source. Yes, it is a little more complicated, but the basic concept for producing electricity is the same. Although there is a lot of potential energy locked up in the fission fuel, eventually the useful energy is expended and that leaves radioactive waste. There are however direct conversion systems, like the tritium battery betavoltaics, which produce electricity as a byproduct of beta decay of the tritium. Both of those systems work on the idea of nuclear decay to produce useful energy, either heat or electricity. Fusion however works differently. It requires much more energy input, but produces tremendous output power. While a fission plant can go into an uncontrolled reaction state, fusion only works in a controlled environment. There are several promising reactants for fusion fuel but deuterium (D) and tritium (T) are the most promising now. The D-T fusion process takes the least amount of containment but produces its energy in the form of neutrons (i.e. heat). When you introduce Helium-3 (He3), containment goes way up but so does the output power. Also, that power is mostly charged particles which can easily be converted to electricity. The Holy Grail would be He3-He3 fusion. This requires even more confinement but it produces pure charged particles. That means direct conversion to electricity and no need for massive radiation shielding. The output power vs input power is the drawback. In any case, the rest of the infrastructure is already there. We have the electrical power lines and all the electrical appliances needed. You just need to replace the heat source or the generators entirely. With regards to fusion, as a rule of thumb it takes about a generation (~25 years) for new power technologies to provide 1% of output. Another interesting rule of thumb! I've never cared much for fission power, for just the reason Citizen Joe gives - it is just a steam engine, and fired by dirty, rare, expensive, and inconvenient stuff to boot. The nuclear equivalent of coal. For terrestrial power production I suspect that solar, in various forms, is going to end up being the mainstay. In my current day gig I read the tech press, and apparently the cost of solar power is not much higher than fossil fuels, with 2nd generation biofuels using plentiful cellulosic 'trash' also coming along smartly. Smaller launch vehicles would be unfavorable to re-use, since any reusable system has to carry not only a payload but recovery structures. But in any case, fuel cost is only a tiny fraction of current space cost. Where fusion really shines - so to speak - is as a space drive, preferably magnetic containment so that the containment field also provides a 'nozzle.' 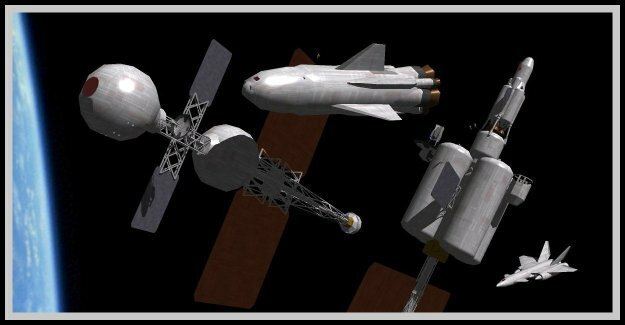 If we achieve practical fusion after midcentury that is just about when we'd want it for missions to the outer system. We probably won't have that many interplanetary missions before then. This blog entry and the following comments are rather thought provoking. While the "50 year rule" might be a bit too accurate a number to make absolute predictions as to when a certain piece of technology would be made mature and practical, it does show a particular pattern of technological innovation and refinement. Granted, the following is just a brain fart, but it does make for an interesting step pattern that, with further refinement, could be utilize to study the development and advancement of technology for one's sci-fi world. The first stage of the development process of most technologies would be what one would call the "Discovery" or "Parlor Trick" in which a particular characteristic of an item or idea is found that makes for an interesting thought experiment or display to show its potential. These ideas run practically everywhere since the exact details and such to show how it could be utilized haven't exactly been fully uncovered. Between this and the next stage would be a series of "over estimations" to which the linear progression of advancement are predicted before full understanding of the idea or item are made. I say this because we've been promised flying cars and vacations to the moon for almost a century now and, as expected, are still within the realm of "sometime in the near future". Which might as well be jargon for "Not within your grandchildren's lifetimes". Like Iam_M stated, this particular state of development would last several centuries at best before someone finds a practical approach for this technology instead of theorizing or displaying what it could do. At this "Innovation" stage, other pieces of technology that could be used to make this particular discovery or idea from theory to plausibility and practice are utilized in making the item or idea practical for every day use. This Generation One of this technology would be effectively crude and primitive, but the Innovation State sets the foundation for maturation and further refinement. Once the practical designs for the idea or item's use are found, the next stage would be the "Maturation" which take several decades to reach fruition and its maximum possible potential utilizing the scientific knowledge of the technology in question during the Maturation Stage. The full technological maturity then becomes the standard template for all later generations of to be based off in one form or another. The final stage in development would be what could be called the "Refinement" stage where the ability to increase the performance of the technology in question slows down dramatically to a series of improvements that make the item or idea in question more efficient in terms of resources needed to produce one, service hours needed to maintain one, and the cost of owning one, among other economic goals for the product. There may be occasional burps of "Radical Ideas" or "Thinking outside the box" that may incorporate seemingly unrelated or similar technological and design ideas to increase the desired effect of the technology in question, but overall the basic design remains unchanged with few, if any, replacement of one part with another. As for the statements regarding Solar Power and Nuclear Fusion, well I'm personally inclined to think that both would be competing power generating technologies in the centuries to come. One wouldn't really become the principle generator of electricity planet side or even in spacecraft and starcraft since one has weaknesses that are covered or even exceeded by the strengths of another. Coal, Oil, and other fossil fuel burning power plants would still exist to some degree, but since each are finite resources in comparison to solar power and even fusion power to an extent, the cost of fueling those furnaces would be high enough to make them uneconomical. Those are just my thoughts on the matter, for now. Rick - "Where fusion really shines - so to speak - is as a space drive, preferably magnetic containment so that the containment field also provides a 'nozzle.' If we achieve practical fusion after midcentury that is just about when we'd want it for missions to the outer system." Fusion as a drive system strikes me as being a different problem than fusion as a power source. We already know that it's easier to blow up a house with fusion than it is to light that same house. If confined fusion turns out to be too tricky or expensive for power generation, 'open core' fusion or pulse fusion may still be a viable rocket system. And people are already looking at pyroelectric fusion as a potential low-powered rocket system. You could write a plausible future where houses are powered by windmills and photovoltaics while fusion rockets carry passengers to Mars. Sabersonic - NASA actually has a diagram of exactly what you're talking about. It's on their Warp Drive When page. This being NASA the diagram is far too mechanistic (It's a straight line from Speculation to Deployment) and compresses the actual time needed for speculation, tinkering, development, tests, riots, and final deployment. I'm not kidding (Much) about the riots. One of the reasons new power technologies take a generation just to break into the market is social acceptance. You have to convince people that the technology is safe or that the risks are worth the reward. You have to deal with regulations intended to control earlier technologies. You have to convince the local power base that this new technology won't weaken their grip (It will). You have to convince investors that your new technology won't eat their money and demand seconds. Eventually, if the technology works reasonably well, it will be an excepted part of the background scenery. But this takes time. When the Dutch started using windmills to drain their polders the locals complained about the noise and how ugly the new towers were. Sabersonic - Tt strikes me that the over-estimation phase is a development of relatively recent times. I don't think the early age of railroads produced anything like it, because in a real sense 'the future' had not been invented yet. This is (shock!) something I intend to blog about. As a teaser, Adam Smith lived at the dawn of the industrial revolution, and wrote constantly about what he called 'improvements,' but he has only one oblique reference to steam engines, and pretty clearly had no notion of transformative, disruptive tech progress. On Earth, we'll pretty much be transitioning out of the fossil fuel era in the next generation, because of rising prices if nothing else. I'm no particular believer in 'peak oil,' but it seems likely that we've picked the low hanging fruit. The price will trend up till solar/biomass/fission are generally cheaper. Fusion, if it becomes practical for power generation, will presumably supplant fission, since fission plants have to be bricked up after a generation or so anyway. Ian - You don't have to convince me about riots - I live a few miles (downwind :-) from the Diablo Canyon nuke plant in California, and there were a lot of unhappy campers when it was being built. I agree with you about fusion as a drive vs a power source. You really only need semi-controlled fusion for a drive, just enough to not blow up the engine, and keep the fusion products zipping out the back. Just remembered something, in regards to the fusion powered rocket. On the Engine List page of the Atomic Rocket website, it was stated (or at least claimed) that the Thrust-to-Weight ratio was adequate enough for an Inertial Confinement Fusion Rocket Engine to be used as a Surface-to-Orbit Engine akin to chemical rockets and certain usage ideas for the Orion Drive. I (attempted) to look up what kinds of radiation fusion would produce via Inertial Confinement. Other than Neutrons, I got squat. Hopefully someone could answer if IC-Fusion Rockets are as damaging to the launch site (and possibly nearby continents) as any nuclear rocket designs? The radiation really does depend on the input products. D-D and D-T fusion throw lots of high energy neutrons. D-He3 throws Alpha Particles (He4 nuclei) and Protons (charged particles easily converted into electricity). However, D-T is the lowest input energy fusion, so, if there is D and T together, it will likely fuse first, throwing lots of energetic neutrons. Deuterium will fuse with itself and create He3 and Tritium as well as chucking out neutrons or protons. So any time you have deuterium going into a fusion reaction, it is likely to deteriorate into neutronic D-T fusion. Relatively low energy neutrons aren't the problem. Although inefficient, they can be used as a heat source. The problem is the high energy neutrons. These can impact other materials and cause spallation where part of the nucleus of another atom gets knocked off. It does some weird transformative stuff, and some materials (shielding) is better at catching the neutrons rather than spalling, but the spallation normally causes the emission of gamma photons, which are hard to stop and are the same nasty radiation that fission produces. IC fusion for lift off would require additional propellant that would be suitable for capturing the neutrons. So the fusion fuel pellet gets detonated by x-ray lasers and that energy (probably neutronic) gets absorbed by the propellant, which rapidly expands and provides thrust. Once out of the atmosphere, the propellant could be changed or even removed for high specific impulse transit. Chemical rockets leave some interesting reaction products in their wake as well. But there aren't enough launches for anyone to be seriously concerned yet. When we get to the point that launches become a routine form of cargo hauling, then people will start to really complain. Rocket designers don't like to think about pollution. It's another way that squishy humans get in the way of high-performance rocketry. But eventually it'll be a concern for them. One other point - "More broadly, both the airplane and the steam engine were technical innovations, while Einsteinian relativity was (along with quantum mechanics) a fundamental revolution in physics. Lots of apples and oranges here, and the occasional banana peel." One of the interesting things about Einstein's work is that it was immediately useful. Revolutions in fundamental scientist typically take time to work their way into engineering principles. Einstein saw several practical developments based on his work within his own not-particularly-long life. Part of that is because Einstein set out to address practical problems in the physics of his day, and came up with a solution to problems that everyone was actively working on. Right place, right time. But another part of that was Einstein himself, who had a genius for putting insanely difficult and counter-intuitive ideas into very easy to understand forms. That in itself is a rare gift. Between Einstein and the relative ease of turning fission into practical tools, we've gotten a bit spoiled. We think major revolutions in physics should be easy. Atomic Rockets twitter feed just had something about using pistons to create fusion. The idea is that lots of pistons slam into a sphere and the shockwave concentrates at the center forcing fusion. Yep. Magnetized target fusion. The company, General Fusion, is based in Canada. When our research is complete Canadians will ride out of the North on fusion-powered snowmobiles, conquering and plundering all that stand between us and our winter migrations to the Turks and Caicos. I have the feeleing, that we may be just entering that stage in the space age where, new expensive tecnology is reaching a new age of gradual but constant improvement and is slowly being spread to wider use. This would be mostly thanks to the increasing influence of the private sector. Already now a private company, Arianespace (although highly subsidised and partly owned by the french government) is the worlds leading satelite launcher. There are plenty other promising companies, including some who are developing or beginning to operate privately owned manned spacecraft (Virgin Galactic, among others). I suspect that private companies will usually be better able than goverments to perform that kind of usually unimpresive but vital slow improvement. After all, a totally new reusable space vehicle who promises to be a space truck will make front cover in most newspapers, but a 5% reduction in loading and support costs will be lucky if it even enters a newspaper. I suspect that fusion reactors will be highly exepnsive in terms of initial investment. If fusion reactors are just a form of overpovered steam engine (like fission today), they will suffer from the same limits that actual thermal power plants suffer, most notably the inability to shut it down, the most you will be able to do is to separate the engine from the generator, letting it run freely. What this means is that if energy is not being consumed, it will be wasted. So better to use other sources to deal with consumption spikes. In other words, fussion power may suffer all the economic problems that fission suffers without their social costs (or at least some of them). On the other side wind and solar energy provide small, but expensive amounts of energy which can easily be turned on or off if necessary and possible, and they can be installed relatively quikly and cheaply. Unfortunately you can only produce energy when the wind blows and the sun shines. So both of these energy sources will need ways of storing important amunts of energy, which are not wery common today. So my guess is that, unless this problems are solved, neither fussion nor solar power will be able to work without the help of other power sources. The ability of any fusion drive to lift off a planet should depend first on its total thrust power output (relative to ship mass). This would pretty much be in the terawatt range, i.e. a torch drive. Apart from melting the drive engine, fusion - as noted upthread - is not as easy to induce as fission, and you'd need to recover some significant fraction of thrust power, i.e. gigawatts, to implode the pellets and make them go bang. I'm doubtful of fusion drive with this power rating in the midfuture. We need big tech progress to do stuff like that! On chemfuel pollution I imagine it depends heavily on what fuels you use. Alcohol or JP-like fuels and oxygen should produce about the same pollutants as any burning of (lots!) of those fuels does. H2-O2 just produces water. When you get into nitrous oxide type fuels it could get nasty, and I haven't a clue what is in solid fuels. The private sector has actually been involved all along, at any rate in the West (e.g. the companies that build the rockets). If SpaceX can majorly streamline launch procedures, more power to them, but I suspect that the public sector will be doing the heavy lifting - so to speak - for a fairly long time to come. Suborbital tourism, though way cool in itself, does not have a lot of bearing on the technologies needed to reach orbit, because the kinetic energy needed to pop into space is MUCH less than for orbit. Solar energy is potentially available on a very large scale, and the costs are near being competitive. Night is a problem! But apparently people are working on huge, cheap storage batteries that could store power overnight. the 50 year rule has a certain informal logic: a decade or two working out the implications of a discovery, a decade or two finding out which implementations are practical and which are dead ends, and a decade or two refining the successful approaches until they meet their potential. Perhaps there is also a generational (grandparents to grandchildren) logic. Of course, this is a generalisation and people can and do change their opinions about technology as they grow older. But they will have grown up with a certain mindset that was influenced by parents, peers, media, etc. Marcia Space's comment sounds similar to my own, though it deals with the mindset and acceptance of the human factor rather then the technological progress of said product. Though I can't help but wonder if there's a possible Fourth Generation with the mindset of: Why use the Slide Rule when there's a thing called a Calculator? Marcia - Kicking myself because the generational aspect crossed my mind, but I didn't follow up. It surely plays a large role. Similar generational divides are familiar in other contexts, such as immigrants. The first generation speaks broken English, the second is bilingual, the third knows only a few words of their grandparents' native language. Name popularity seems to follow a 4-generation cycle. Names popular 60 years ago are 'granny/gramps' names people rarely give their kids, but after 100 years they have retro appeal. Could space follow a similar trajectory? After Apollo there was sort of a backlash, and for a lot of people space was yesterday's thing. Technology itself was uncool in the 70s, and began to revive in the PC era - today, in the popular language, 'tech' is almost synonomous with computers. Perhaps we're moving far enough from the era of disappointment that space travel will become cool again.